Event description Coruche has terrains with fantastic natural qualities and will receive the I Coruche Orienteering Trophy, on 8th and 9th January 2011. The event organized by COAC (Coruche Outdoor Adventure Club) is a Foot-Orienteering event included in the Portuguese Federation Cup Calendar, opened to participation for people of any age, either in competition classes, open or beginners’ classes, individual or in group. 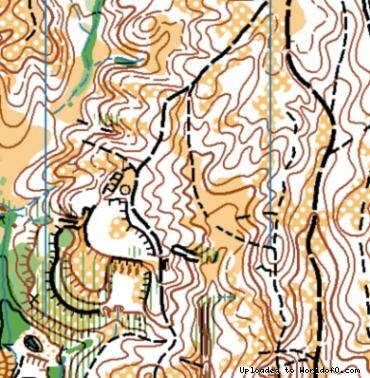 The I Coruche Orienteering Trophy will have the following races: •	Model Event (7th January 2011); •	Middle Distance (8th January 2011 - Saturday Morning); •	Night Sprint (8th January 2011 - Saturday Night); •	Long Distance (9th January 2011 – Sunday Morning). Terrain description Middle and Long Distance: Typical Alentejo land with several relief details and vegetation elements. Areas with good and poor visibility. Night Sprint: Urban area of Coruche Village with a lot of streets and alleys. Some gardens. Short race report Coruche, one of the most important agricultural centers of Portugal where the vast marshes along the river Sorraia contrast with the extensive forest area from which is extracted 10% of Portuguese cork, offers excellent conditions to practice Pedestrian Orientation. Recognized by the excellent quality of his writing, Almeida Garrett, described in his "Viagens da Minha Terra” the terrains of Coruche as a natural wonder: "Beautiful and vast plains! Panoramic sun rays, as it draws on the horizon there so smoothly! The delicious aroma exude these wild plants, acres and tenacious of life which cover and resist the lush green and a sun Portuguese... ". 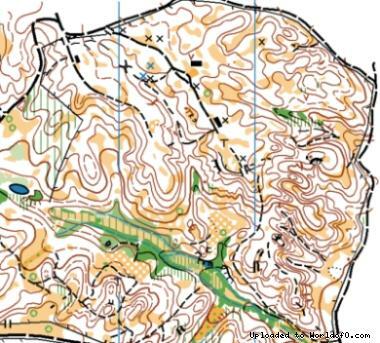 These terrains with fantastic natural qualities will receive the I Coruche Orienteering Trophy, on 8th and 9th January 2011. The event organized by COAC (Coruche Outdoor Adventure Club) is a Foot-Orienteering event included in the Portuguese Federation Cup Calendar, opened to participation for people of any age, either in competition classes, open or beginners’ classes, individual or in group. After organizing several local and regional events, COAC has done all efforts to maximize synergies, offering maps and courses with a high quality and a rich social/cultural program.